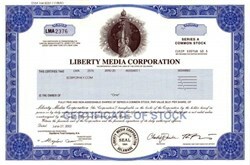 Beautifully engraved certificate from the Liberty Media Corporation. This historic document was printed by the American Banknote Company and has an ornate border around it with a vignette of the Statue of Liberty infront of the Earth. This item has the printed signatures of the Company’s President and Chief Executive Officer and Secretary. 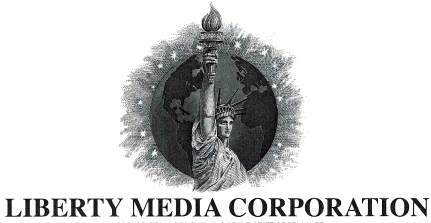 Liberty Media Corporation (Liberty) holds interests in numerous globally branded entertainment networks such as Discovery Channel, USA, QVC, Encore, and STARZ! Liberty's assets also include interests in international video distribution businesses; international telephony and domestic wireless telephony; plant and equipment manufacturers; and other businesses related to broadband services.